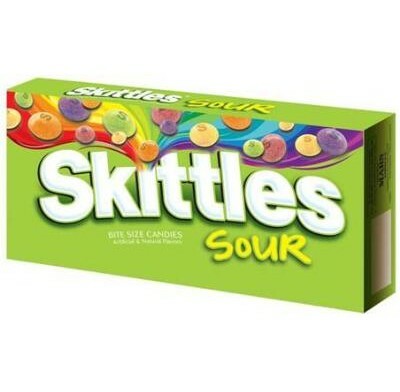 Sour Skittles Candy from M&M/Mars, the fruit candy spiked with a frosted sour burst in convenient movie theater size box. 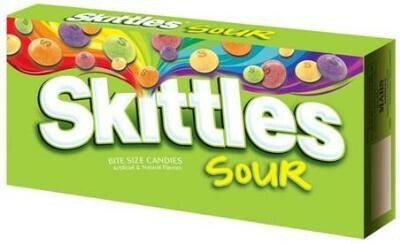 Comes in five mouth puckering flavors: Sour Strawberry, Sour Orange, Sour Lemon, Sour Grape, Sour Lime. Boxed candy comes 6 pieces per case.